Christmas Carb Friday and Oops! I will be the first to admit that I proofread my blogs very liberally. More often than not, I find an error after I have already hit publish and have to go back and revise. Yesterday I hit an all time low. I received a frantic text from a fellow grammar snob stating that I had made an unthinkable error. This was the error of all errors. The error I constantly point out and chastise until I am blue in the face. Drum roll. I misused their. Shame on me. I will completely understand if you unfollow my blog after such a mistake. If I were you, I would. Insomnia is getting the best of me. I need to stop writing at 2:00 AM. No. There are no excuses. I will spend the rest of my life trying to redeem myself. 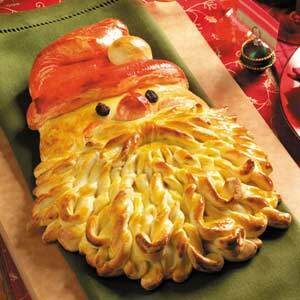 Meanwhile, enjoy Christmas Carb Friday, filled with Jewish guilt.